A cabin that has been restored to its original state. GILROY — Want to get away for a week and do something good? 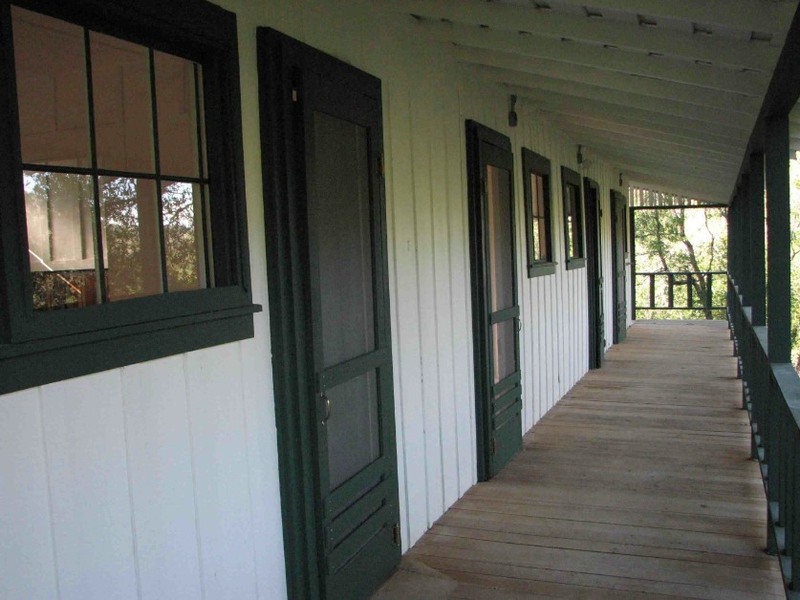 Help HistoriCorps restore the historic Gilroy Yamato resort buildings this September and October. HistoriCorps is a nonprofit organization that supports volunteers in restoring historic structures in disrepair across the country. Volunteers of all ages and backgrounds are encouraged to join the Gilroy Yamato project. Project sessions are weekly, from Sept. 25 to Oct. 2 and Oct. 6 to 14, but volunteers are encouraged to donate as much of their time as they can. The Gilroy Yamato Hot Springs Resort is 150 years old and the site still retains many of its original buildings. Started in 1865 as a warm mineral water resort with opportunities to hunt, fish, hike, dance, play poker, and relax, Gilroy Hot Springs was a popular vacation destination spot for wealthy travelers from San Francisco. Vintage gazebo that stands atop the point where the hot springs emerge. The large resort was built by early settlers in the region and experienced a boom during the 1920s with the development of the automobile. After a decline, the resort was bought in 1938 by a Japanese capitalist, who built a shrine and teahouse on the site, turning it into a Japanese gardens and hot spring. It became a popular destination for Japanese internees after World War II, was run as a private resort into the 1980s, and was finally purchased by the California Department of Parks and Recreation in 2003. It is located within Henry W. Coe State Park. 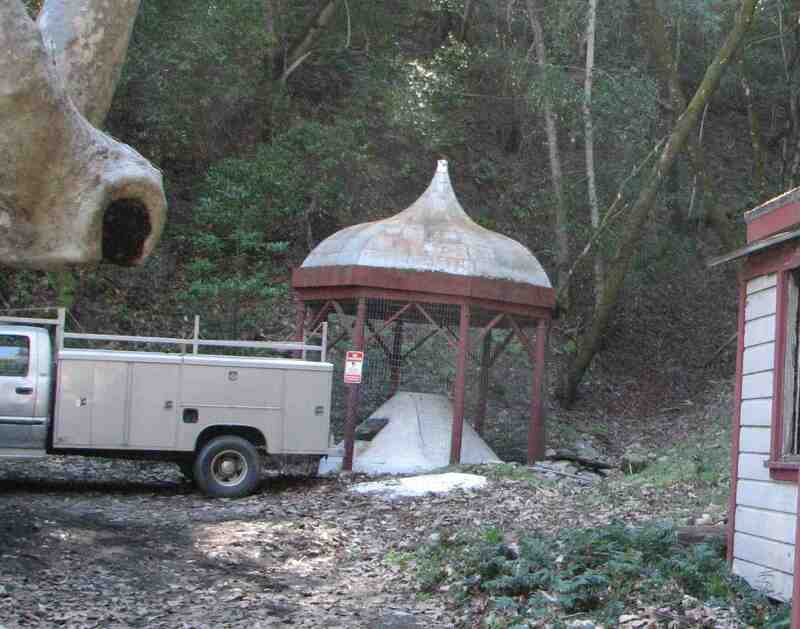 Gilroy Yamato Hot Springs was designated a California Historic Landmark 20 years ago. Guided tours are available and the site is now a popular picnicking and family area. Cabin restorations on the site began in 2011 and volunteers are encouraged to participate in regular opportunities to restore the resort to its former glory. This fall, HistoriCorps volunteers will restore the Ohio and Pennsylvania cabins. 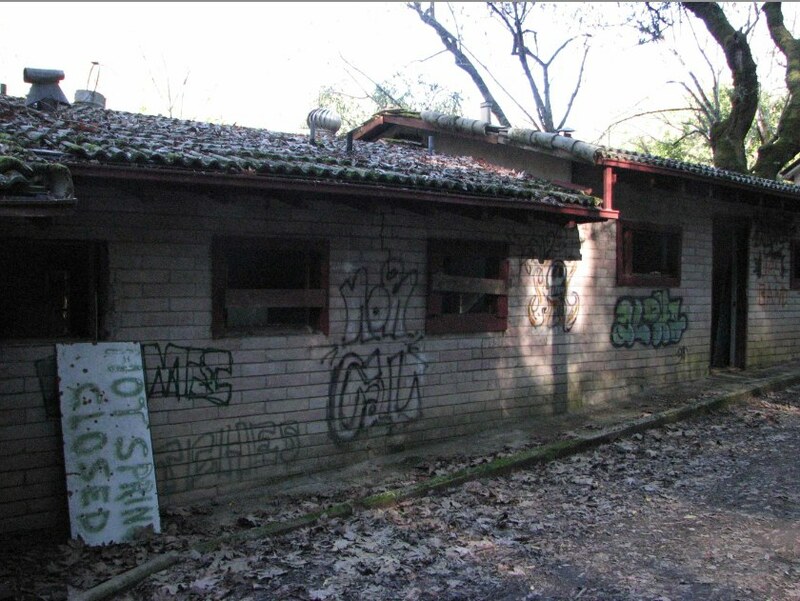 The bathhouses have fallen into disrepair and have also been targeted by vandals. HistoriCorps recruits volunteers from across the nation to donate their time towards preserving historic places in need of repair and restoration. Volunteers, whether experienced or not, young or old, often spend their vacation to travel to a destination and lend a hand in construction work. Volunteers are provided with a free nearby campsite, free meals, supplies, and the expert guidance of two HistoriCorps employees. Volunteers will be working with HistoriCorps’ staff on tasks including assembling scaffolding and roof anchors, reroofing the building with redwood shingles, repairing and replacing roof rafters, and other construction tasks as necessary. 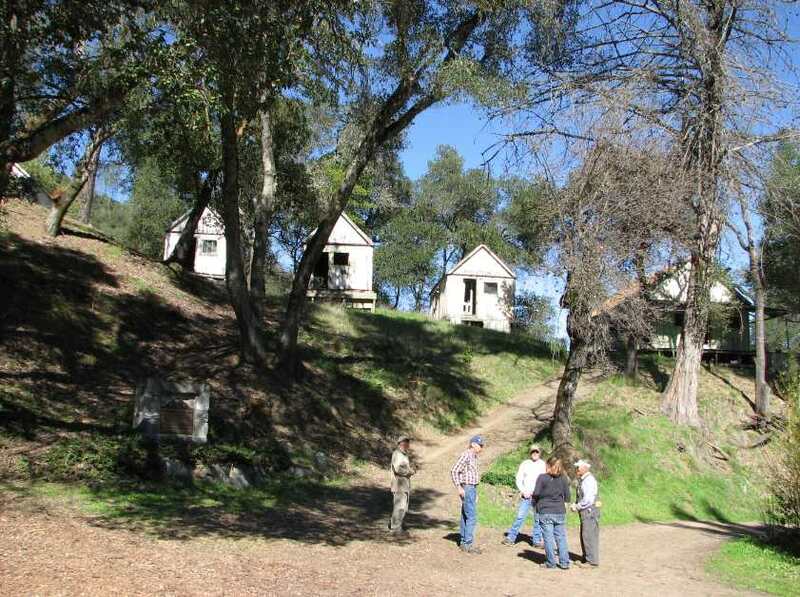 The Gilroy Yamato restoration project is sponsored by Henry W. Coe State Park, located in Santa Clara County, less than two hours from San Francisco. To learn more about the project and to register to volunteer, visit http://historicorps.org/events/gilroy-yamato-california/. Contact Jennifer Eberhart, interim marketing and volunteer manager, with questions at [email protected] or (303) 893-4260, ext. 231. Entrance to the hot springs site. The OH cabin (far left end of the last picture) is one of the cabins to be roofed. The PA cabin –aka “the honeymood cabin” is above (further left) of the OH cabin. The other cabins, left-to-right, are Washington, Oregon, Nevada, and to the right of the road, California. Lawson Sakai, Friends and Family of Niseii Veterans (ffvn.org) says he remembers staying in these cabins for a month every summer when the family vacationed from Los Angeles. Rev. Noji went from Salinas (Lincoln Ave Presby. Church) to Poston AZ to Gilroy Hot Springs just before he took charge of the Wintersberg Church in Huntington Beach. I hiked in there with a friend in the late 1980’s. It was all fenced off and tons of abandoned buildings that I was amazed were not burned by natural of human fire. We got the hot tub to rise about a foot in a couple of hours and sort of soaked. Had to cross a bridge with no floor, only support truss, to get in. No graffiti. Really eerie place at the time.